Belize is paradise for the adventure traveler. There are majestic forests for you to zipline through, spectacular barrier reefs for scuba diving and snorkeling, and ancient Mayan ruins and caves to explore. There is an impressive amount of archaeology and caving, exotic wildlife in some of the most pristine jungles in the world, and plenty of options for fitness, history, and culture too. Travelers to Belize will find themselves venturing off the beaten path and immersed in natural history, active adventures and unforgettable experiences. And some of the best adventures are easily organized from our favorite resort – Ka’ana Belize. Adventure activities you can do in Belize. Best Belize adventure. An award winning 5-Star boutique resort in Belize’s Mayan jungle, Ka’ana is a small resort which offers luxury accommodation, adventure tours and all-inclusive packages where guests indulge in personalized service and modern amenities. What kind of things can you do from Ka’ana Resort Belize. This is an upscale outpost for exploring, perfectly located in the midst of everything a Central American vacation could possibly offer. All adventure tours are run privately, never shared, and their guides are some of the best in the country. You’ll find that every adventure is a curated experience that is authentically Belize. The following are epic adventures you can take while staying at Ka’ana Resort Belize. Adventure travel in Belize. Crystal Cave is not for the faint of heart – it is one of the most exhilarating caves in the greater region, and possibly the most extreme Belize cave adventure. To reach the entrance of the cave you must first complete a steep 60 minute trek through lush rainforest. Then you will descend up to 600 feet by rope into the mouth of the cave. Best caves in Belize. Belize cave adventures. A truly stunning cave system, the expedition will lead you through narrow passages to spectacular cathedral like caverns as you pick your way along sheer rock faces and slide down mud ramps. The caves are covered with shimmering crystal stalagmite and stalactite formations. There are actual skeletal remains of Mayan sacrificial victims here too. The tour from Ka’ana lasts 3.5 – 6 hours. This adventure requires a high level of fitness and agility and no fear of claustrophobia or heights. Don’t forget to pack sturdy walking shoes and bug spray. Where to go caving in Belize. While staying in belize you should definitely take advantage of the fact that Ka’ana has their own heli pad. Helicopter Tours are definitely up there when it comes to price but the incredible views and photo ops will most certainly make up for it. What can you see on a helicopter tour of Belize? Imagine soaring over lush, protected and untouched jungle reserves, Maya Mountains with a cascading 1000-Foot waterfall. 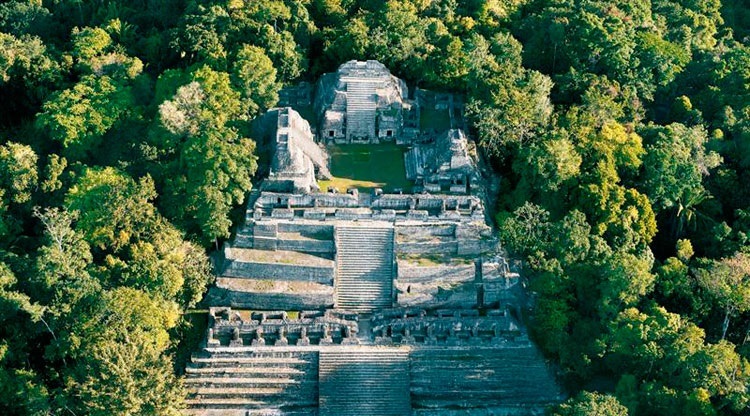 Picture an up-close aerial tour over the ancient Maya City of Xunantunich. These tours are a truly thrilling way to witness Belize’s diverse landscapes and environments, and you’ll capture a perspective few others have the fortune of seeing. Belize adventure. Pro Tip: Helicopter tours will generally have one set price for up to four persons (confirm this with your carrier first). 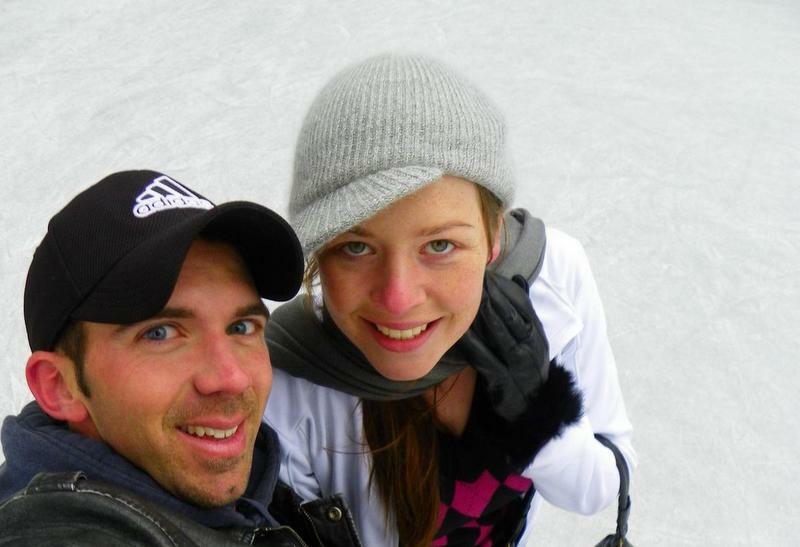 Find a couple at your hotel to share the experience with and split the cost in half. Caracol is the largest Mayan ruin site in Belize, covering about 75 square miles. It is home to the largest man-made structure in the country. Depart at 7:00am for an adventure deep into the jungles of the Maya Mountains, habitat to wild animals such as tapirs, jaguars, monkeys, toucans, and scarlet macaws. The ruins feature ancient courtyards, ball courts, residential complexes and a complete astronomical observatory. Over 100 tombs have been uncovered to date. The largest structure here is Caana (Sky Place), which stands over 140 feet 42 metres above the jungle canopy. Best adventures in Belize. This is one of the few ruins in Central America where visitors can climb to the top. The 360 panoramic views of the jungle below are simply stunning. There are a series of natural pools where you can enjoy a refreshing swim after your climb. What are the best ruins in Belize. Can tourists visit the ruins in Belize? Much of Belize was once only accessible by horse, so for those seeking an authentic and traditional adventure, a horseback riding tour is the way to go. 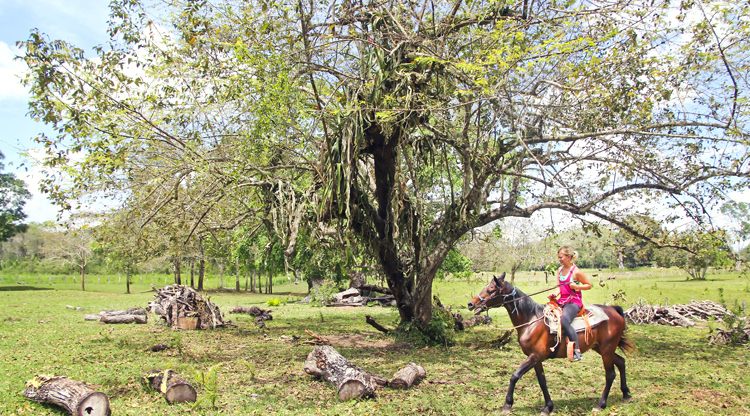 Ka’ana will book for you to ride from the private ranch of the Santiago Juan family. You will ride across an open pasture towards the bank of the Mopan River and be led by your personal guide and ranch hand. An exciting river crossing takes you off the beaten path and on an eye-opening ride that reveals a different, slower way of life. Where to go horse riding in Belize. Included in the tour is a stop at a yet-unexcavated Mayan site on the ranch. The guides are very knowledgeable and will tell you all about the history of the area while you dismount and explore. There are 360 degree views here of the valleys and mountains which also stretch over to the excavated Maya city of Xunantunich. Adventure in Belize. Things to do in Belize. Adrenaline in Belize. These tours leave twice daily and last for 2 hours. The stables are only 5 minutes away from the resort. Best adventure travel in Belize. Discount alert: With abundant sunshine and soaring temperatures, there has never been a better time to visit the ancient Maya cities, explore caves, zip-line through the jungle, or just relax in the resort pool. Book Now & Save 20% on any room category for travel between February – April 2016. Make Ka’ana Resort your one-stop Spring 2016 Getaway! The Ancient Maya City of Xunantunich (pronounced shoo-nan-tu-nitch) with its 39m-high El Castillo pyramid is a must. And Ka’ana can organize your transport here by either car or horse. Visit ruins while in Belize. This fascinating ruin is believed to be around 1400 years old, and is made up of several plazas and a large selection of classic period structures. Those ambitious enough to hike to the top have the chance to take in a 360 degree panorama of the surrounding Maya mountains and valleys with views of both Guatemala and Belize. 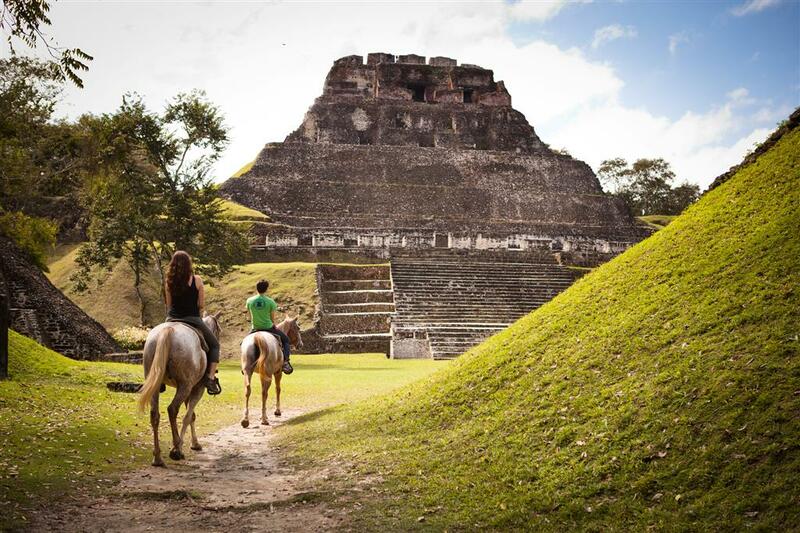 Can I ride a horse to ruins in Belize? Be sure to pack good walking and climbing shoes, bug spray, sun screen, and money for souvenirs. Funnest things to do in Belize. Belize attractions. Immerse yourself in the expanse of Belize’s diversity of sea, air and jungle all in one day! Ka’ana will fly you out to the turquoise waters and beaches of Ambergris Caye, where you’ll snorkel along the second largest barrier reef in the world, its breath-taking marine life and rainbow corals. Swim among colorful schools of fish, Moray eels, turtles and even pet Nurse Sharks and Eagle rays at Hol Chan Marine Reserve and Shark-Ray Alley. Help to catch and cook your lunch or simply sunbathe and swim at your leisure on a private beach. Fun things to do while staying at Kaana Resort Belize. At the end of the day, fly back over the picturesque landscape of villages, lagoons, mangroves and pristine forests to relax in your cool and luxurious jungle suite as you wonder at all you managed to fit into the day. The Belize Barrier Reef, a UNESCO World Heritage Site, spans 185 miles of the country’s coastline. Discount alert: Stay 4 nights at Ka’ana and Pay for only 3! With a combination of ancient culture, modern luxuries and great value, Ka’ana offers you a once in a lifetime opportunity to experience a little piece of heaven on earth. Reserve 3 nights at Ka’ana and your 4th night is on them with Daily Continental Breakfast. Book from now until December 17th, 2016 to take advantage of this special! The Actun Tunichil Muknal is the most popular cave in Belize, though an experience best reserved for the fit and adventurous. Once a Mayan burial site, it is now full of skeletons, pottery and other ceremonial objects left by the Maya. “The Crystal Maiden” is the cave’s most famous skeleton, her bones cemented into the floor by natural processes; leaving them sparkling as though they have been crystallized. Where to stay in Belize. Best Belize hotels. The 45-minute hike from the cave entrance will have you swimming, climbing and exploring through tropical rainforest, multiple streams and several different chambers. It is 5 km deep, and the deeper you trek, the more ceramics and pottery of all sizes to be found in the exact spots where sacred Mayan ceremonies were performed. Best resort to stay at in Belize. Note that the inner chambers will require you to take off your shoes so as to not damage the priceless artifacts, and no cameras are allowed. The 45-minute hike from the cave entrance will have you swimming, climbing and exploring through tropical rainforest. Once a Mayan burial site, it is now full of skeletons, pottery and other ceremonial objects left by the Maya. Anyone who tells you that bird watching isn’t an “adventure” has never been to Belize. The country is home to a range of exotic bird life, and if you weren’t a bird nerd before, you will be once you stay at Ka’ana Resort. Bird Watching tours from Ka’ana will take you to one of only 13 locations in all of Central America where you can witness the rare Orange Breasted Falcon in their natural habitat. He perches high on a dead tree or cliff and then swoops down on unsuspecting prey of birds and bats. Birds in Belize. The hunt and kill are dynamic to watch and include bursts of speed, swooping, short bursts of incredible accelerating to clutching prey in its talons before disappearing into the canopy below. Binoculars are not included, so make sure you pack them from home. What are the best birds in Belize? This post was completed in collaboration with Ka’ana Resort. They recently won a TripAdvisor certificate of excellence and were also announced as The World Travel Awards’ Leading Boutique Hotel in Mexico & Central America 2015. Turns out they’re everyone else’s favorite resort in Belize too! Visit http://kaanabelize.com/ for more information. They are currently running a Spring Getaway Special Offer of 20% off for travel starting now until April 30th. Don’t miss out! 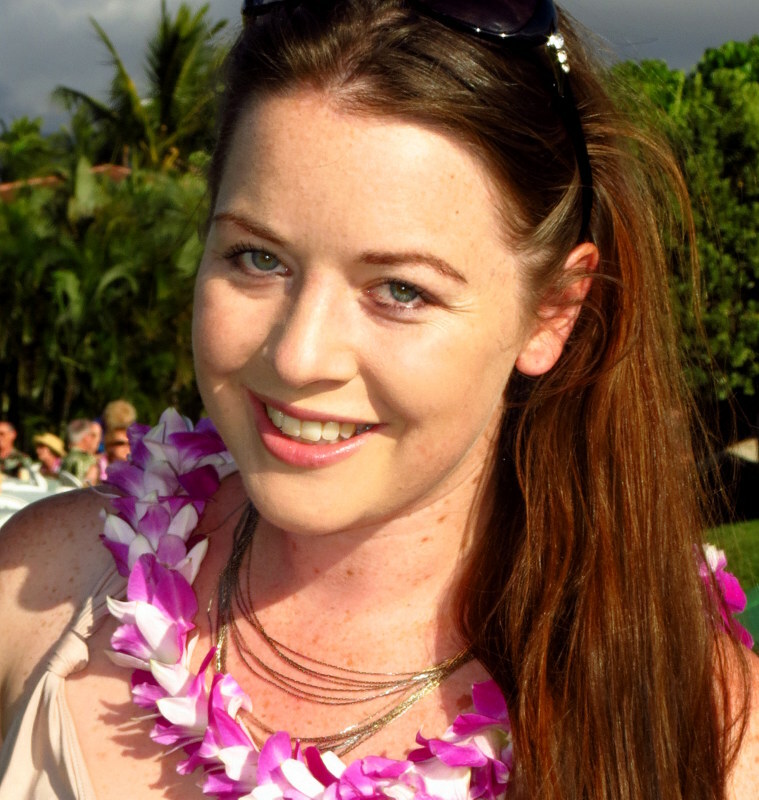 Review of Ka’ana Resort Belize. Hotel reviews Belize. Discount alert: Celebrate Mothers for the entire month of May at Ka’ana Resort! For the month of May only, Ka’ana is offering 30% off any room category with daily continental breakfast as a tribute to all mothers. Pre-book your massage prior to arrival and get 10% off on our signature Maya Abdominal Massage. Spoil your mother this May with our Mother’s Month Celebration! Photo credits: Great Blue Hole by Eric Pheterson. Ambergris Caye by Dennis Redfield. Sea Turtle by Gustavo Vier. All other photos courtesy of Ka’ana Belize. This sounds amazing! I feel like i missed out not doing a lot in Belize! Sounds like the perfect excuse to plan a return trip! Haha the amazing thing about Belize is that you can be Indiana Jones :D So much opportunity for adventure in exotic, wild locations here, that you can actually live the films! Belize has been on my radar for awhile, maybe 2016 will be the ticket. I love all those ruins and to be able to still climb to the top sounds amazing and unrestricted, yeah! Absolutely – there are so many restrictions for similar sites in destinations like Mexico. Mainly due to the large tourist numbers. So we highly recommend Belize as a much more authentic alternative with far fewer tourists! Although Belize is famous for its beaches, it’s great to see the country is a great destination for those who love adventure. Those adventure activities you listed certainly seem to be a great way to learn about the country. Absolutely – that’s what I love most about Belize too – the opportunity to learn about the history and immerse yourself in a unique and authentic cultural experience while enjoying adventure activities at the same time :) Belize for the win :D! Definitely an epic spot for adventure travel! When I was in Belize I, sadly, only traveled down the coast. I really wanted to venture inland more and do some of these adventures, particularly the cave exploration. I think it is important that everyone knows Belize is more than just beaches! Sounds like you have the perfect reason to plan a return trip! I love all this! getting to Xunantunich Maya Ruins by horseback is something so cool, the thing that I wish I could do one day! This is a great list of things to do, especially adventurous ones like exploring caves, and all the culture and history you can get out of seeing ruins! This looks like an amazing getaway! Maybe one i should leave the kids at home for!! Its been ages since i have been able to get out horseback riding! Thanks for sharing! hopefully we can take advantage of the nice discount!! It truly is Lindsay – Ka’ana would be a great way to spend/celebrate mothers day with a little R&R, especially with the 30% off for the month of May. All of these adventures would be amazing! I am especially interested in the Crystal Cave–I would be a bit claustrophobic, but it would be so cool to see, and the hike through the rainforest to get there sounds cool too! The helicopter would be pretty awesome to do in Belize as well–I bet the views would be so gorgeous! So much to do in Belize right!! Really wouldn’t get bored! Great tips,Belize and Ka’ana sounds like a perfect adventure getaway. I would only pass the caving activity, I’m a bit claustrophobic, but instead I would have two days of scuba and snorkeling. I bet the sea there is stunning!! Actually I have fear in heights, yet out of curiosity I wanna try that helicopter adventure to have an incredible experience. I stayed at Ka’ana at the beginning of our RTW trip one of our favorite hotels to date! What wonderful places. I would also like to see it myself. Caye Caulker is located right nearby an amazing wildlife reserve, Swallow Caye Wildlife Sanctuary, where you can actually swim with manatees in their natural habitat. Of course, you aren t allowed to touch or chase these gentle but enormous sea mammals. Belize is doing excellent things to preserve to conserve and protect their manatees, to ensure that they live happy and healthy lives with their environment protected.